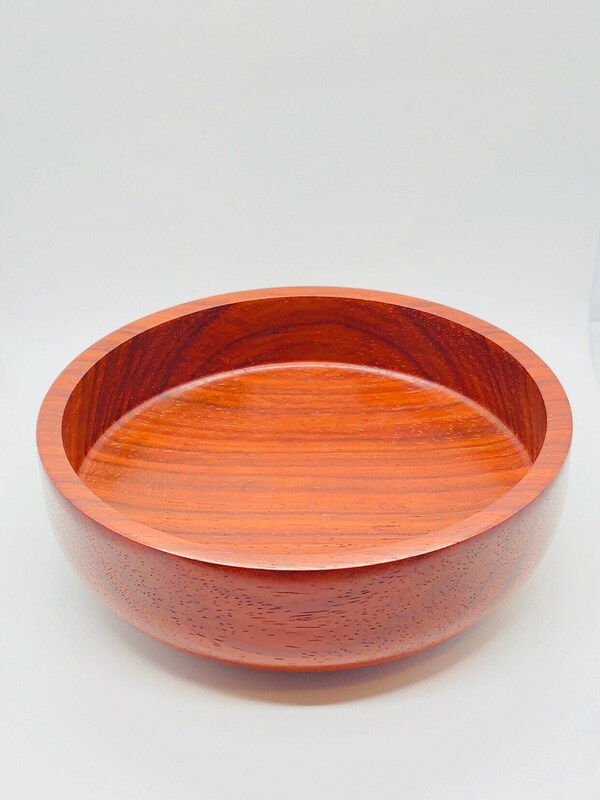 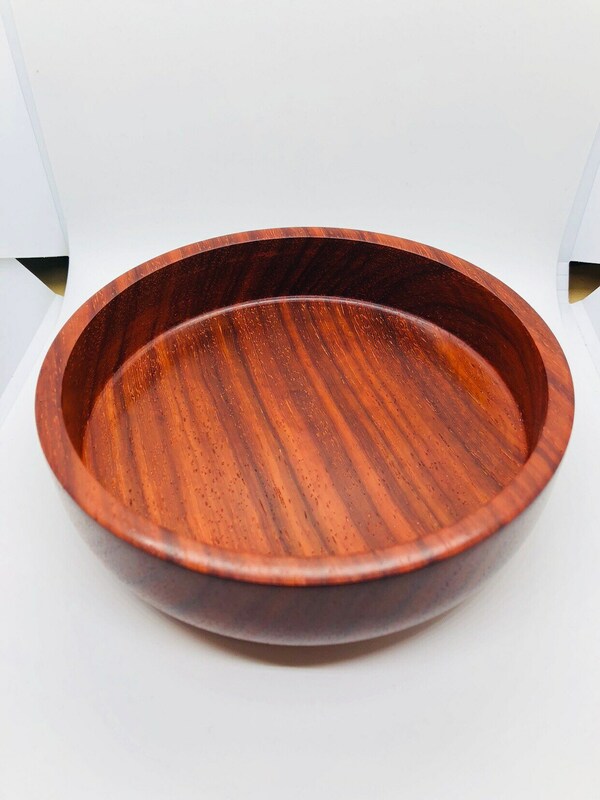 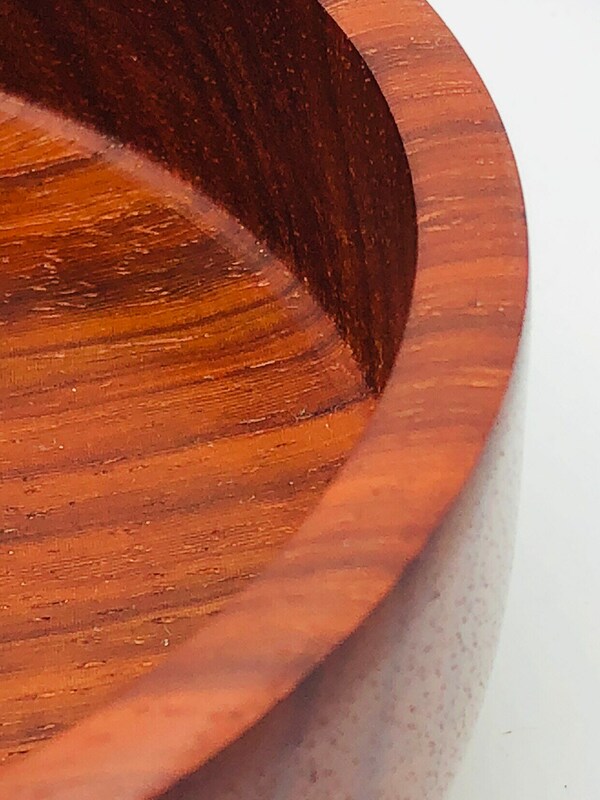 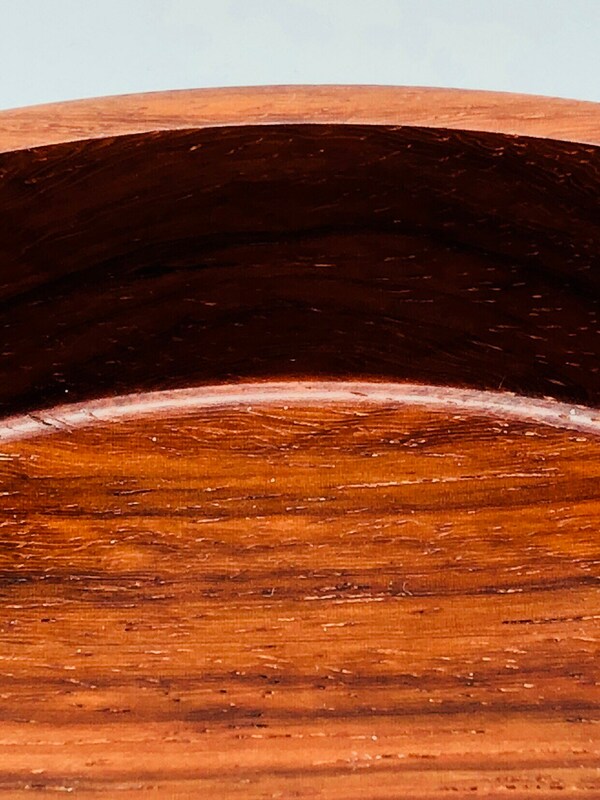 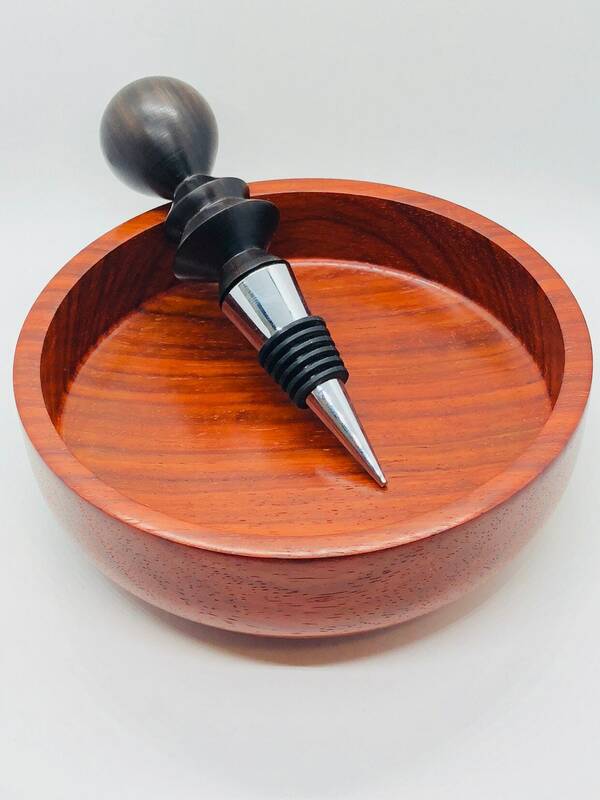 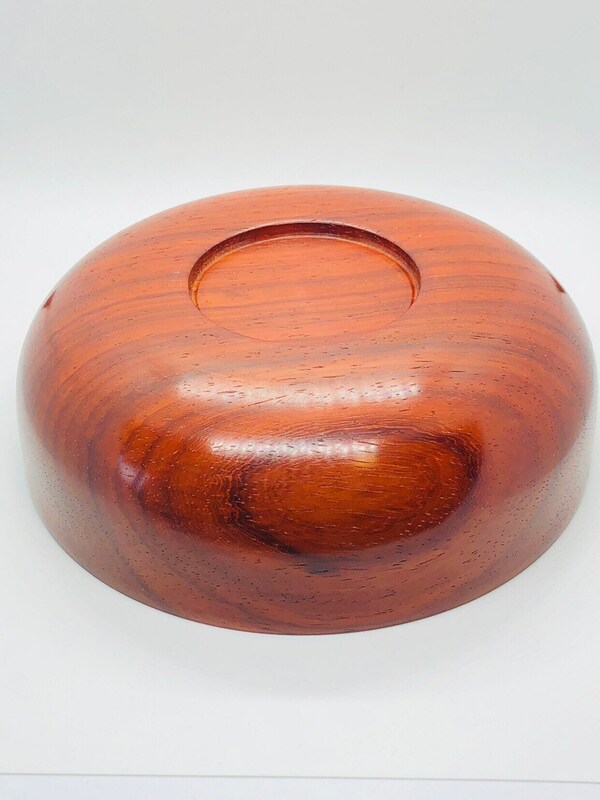 This shallow bowl is done in Padauk to showcase the natural beauty of this wood. 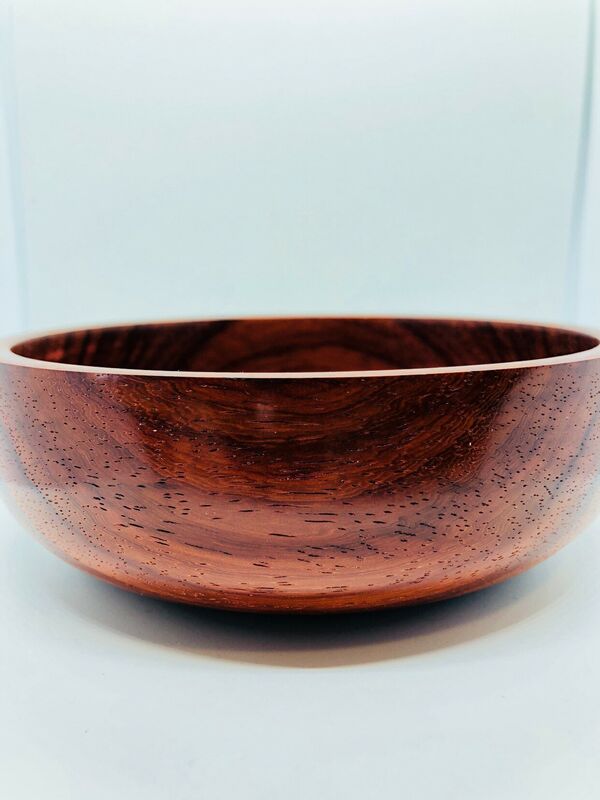 Richly colored with great figure the lines of the bowl only help accentuate this stunning piece. 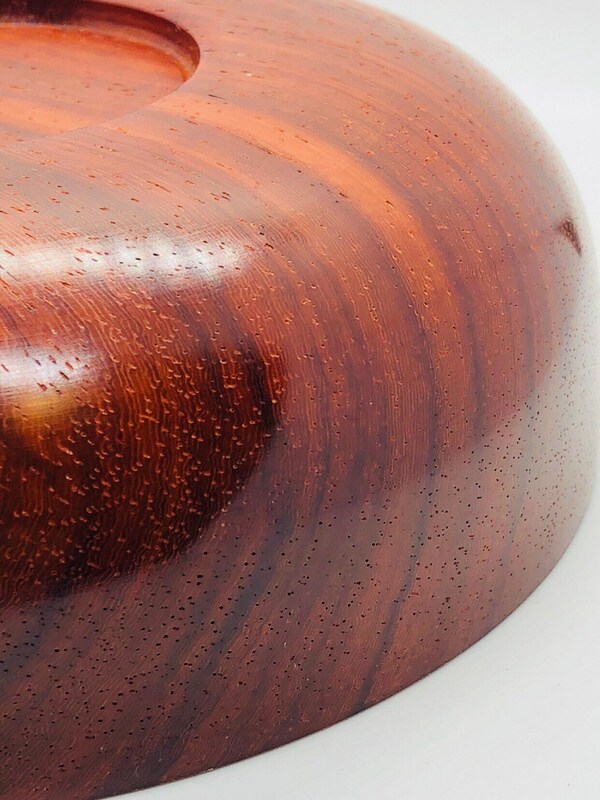 Rich vibrant reds and browns with dark growth ring lines.